Pocast S8E10 – We gotta talk about the HyperLoop again, + Tesla, Windows 10, your questions and more! e gotta talk about the HyperLoop again, + Tesla, Windows 10, your questions and more! We got a few facts skewed last time on the Computer Guru show when we were talking about the HyperLoop. Oops! 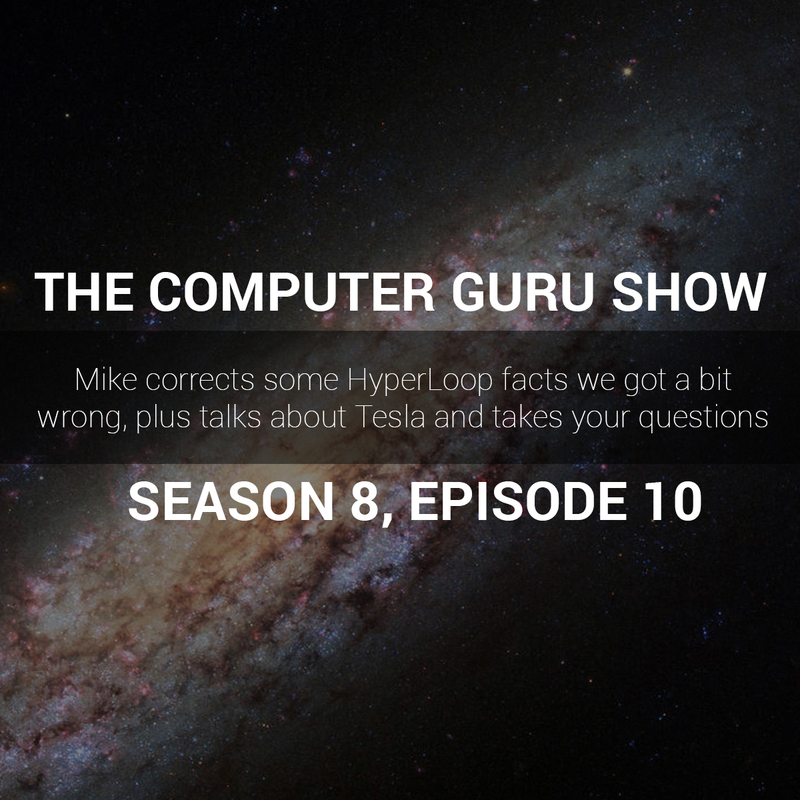 Mike corrects those, talks about Tesla and Windows 10, takes your questions, and more.